Call our 1800 crystal readings number for a personal, professional crystal reading by phone. Scrying, or crystal gazing, is one of the original mystical divination tools use by psychics to focus their psychic talents. If you would like, you can check Crystal Readers Available Now to find out who is available for a readings. Would you like to review the profile for all the psychics practicing scrying, psychic mediums, tarot readers and more to find someone you feel most suits your needs. 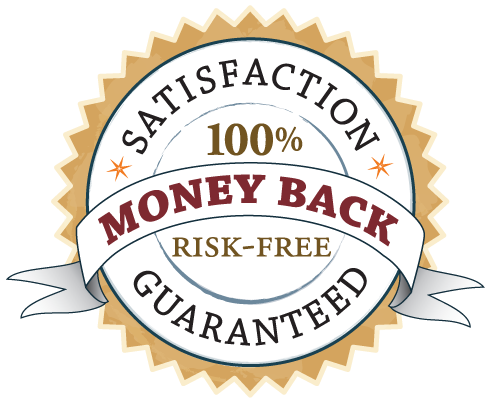 Just to remind you: All readers through our phone number have been through a rigorous screening process ... all readings come with a satisfaction guarantee ... all transactions are handled in a safe, professional manner. Free help finding the best psychic, scryer and/or crystal reader for you and your questions when you call! Call toll free, now. Someone is waiting to help. Profiles For Scrying Psychics are available from our Crystal Reader Profiles Page Learn about individual psychic readers as well as others in the psychic field. Want to try a crystal reading? A 10 Minute Reading For Only $10. You know that famous image of gypsy looking woman gazing into a crystal ball? It is one of the most common images associated with psychics in general. What you might not know is that gypsy looking woman is practicing scrying or crystal gazing. Another term is practicing crystallomancy. She is performing a crystal reading ... one of the oldest forms of (and historically well documented) forms of divination. Within psychic circles, there are those who begin as mediums to spirit guides, those who are born with clairvoyant, clairaudient and/or clairsentient. There are psychics who use divination tools to focus their abilities such as tarot, runes and ... crystal gazing or scrying. Professional psychics who love their craft might well learn to use many divination tools and explore many possibilities to improve their connection with the spirit world and spirituality. They might well explore numerology and astrology to help refine their intuitive impressions, visions and personal readings for clients. A crystal reading just happens to be one of the oldest known and very common readings practiced psychics. It is said that Nostradamus used scrying in the form of hydromancy (gazing into a pool of water) to predict future events (yes, technically, he was a fortune teller). Scrying, crystal gazing, crystal readings, crystal seeing, crystallomancy are all well recorded history. Scrying can be done not just with a crystal ball, but can also be done with mirrors, a bowl of water, polished metal surfaces and generally any sort of reflective, dynamic surface. It is a practice going back over 2,000 years. Scryers say that the crystal ball or reflective surfaces serve a powerful focal point to enter into a meditative or trace-like state which allows for the visions of the future, impressions of people, visions of past events, remote viewing, glimpses into the spirit world and more. Some psychics claim crystallomancy can magnify their talents, hence some psychics attachment to their crystal balls. As with other readings, before calling for a crystal reading, it is helpful to be clear on what it you want to know or what one issue you want to explore. Once you begin a crystal reading with a professional psychic, allow the psychic a few moments to get into that meditative or trace-like state. Do not be surprised if the psychic's voice changes or becomes disassociated. This happens with some psychics but not all. Scryers say that things appear to them in the form of visions, impressions, sounds and powerful feelings. Sometimes these things can very immediately revealing ... sometimes they can take some work to understand what is being revealed. Important past events and future events can get mixed up together. It can be as if there is no such thing as a timeline in what is revealed. Some psychic's report that (as in automatic writing) something like a spirit guide will make an appearance to "assist" with the reading. Psychics who use crystal balls or some scrying divination tool all have unique styles. In over 2,000 years, no one has been able write a definitive manual or rule book about scrying. If you are ready for a truly unique, fascinating reading, then a crystal reading is for you. You can ask about love, to know more about your lover, prediction of future possibilities, personal guidance ... just about anything you want.